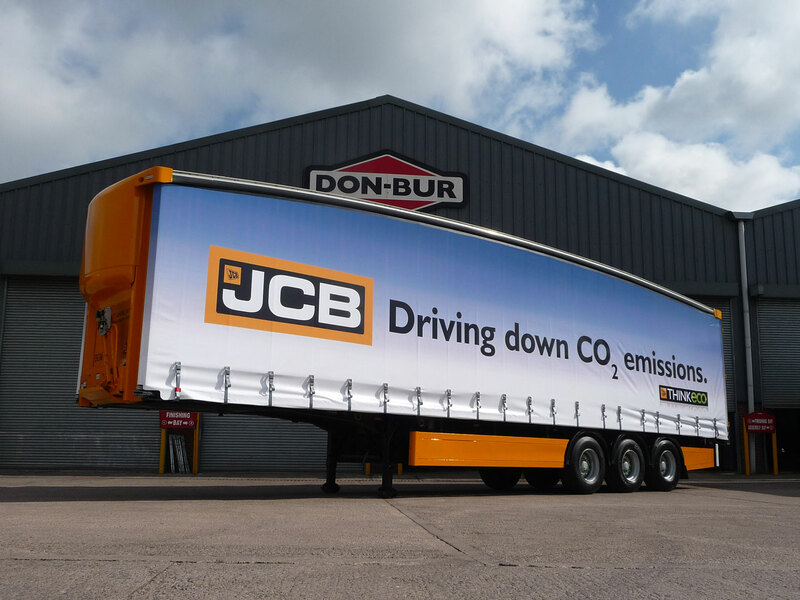 There are 2 large Don-Bur Service centres which were created to offer comprehensive after-sales services to all commercial and agricultural vehicle operators. Whatever your service schedule, whatever your vehicle, Don-Bur offers the full range of mechanical, electrical services / repairs for your vehicle - trailer chassis and Loler Inspections / weight tests. 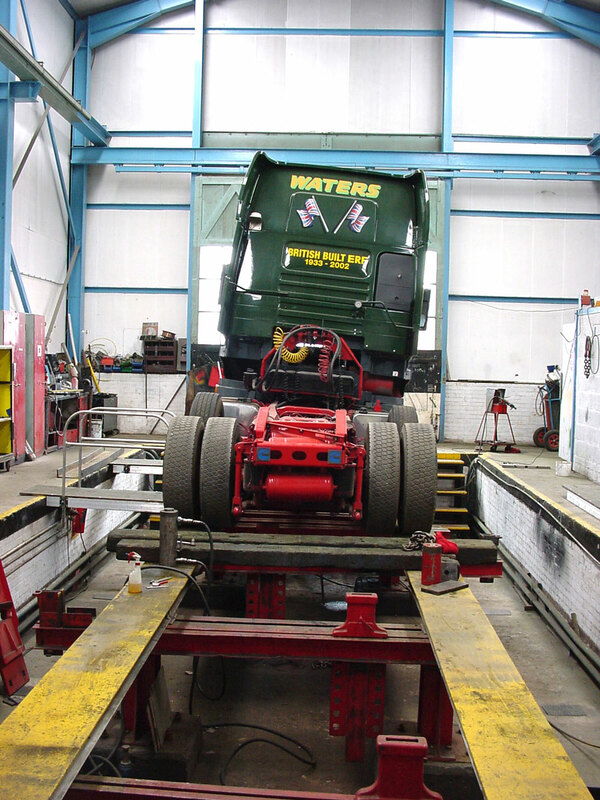 As a hydraulic lifting deck repair specialist we have the facilities to carry out a full refurbishment of all the parts on the lifting deck, this includes a full rope and main lifting ram replacement for all makes of trailer. We carry a full range of trailer spare parts to ensure that down time is kept to an absolute minimum. ↑ Burnouts can be renovated to look like new. 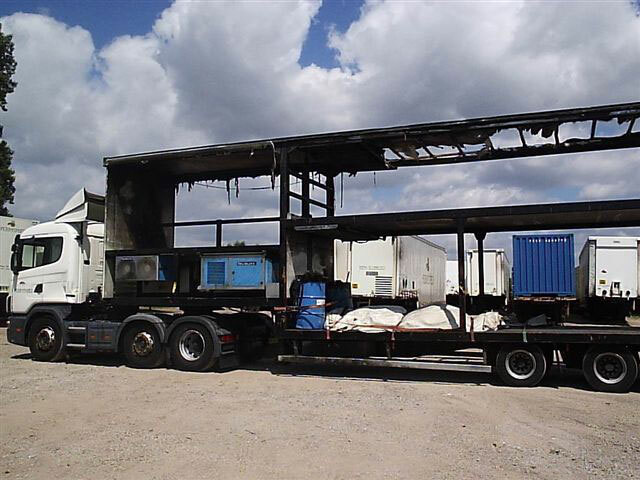 From minor curtain tears and general operational loading damage to a complete burnout, Don-Bur are able to repair any damage that occurs to your commercial vehicle regardless of the severity. Housed at the Clarence Road site is a chassis straightening rig known as 'The Bear'. The main structure of a commercial vehicle will remain sound for a period in excess of ten years. However, it's appearance will suffer greatly and it is likely to need a new lease of life every five years or so. Don-Bur Service offers a 365 day/ 24hr national break-down service, run in conjunction with NTBS (National Transport Breakdown Service). The service offers peace of mind for operators who need to minimise downtime and need rapid response times.